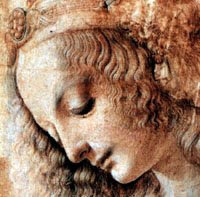 "The Woman is waiting to be recognized"
In the Oneness and the Heart of the World event the subject matter of Sacred Feminine and the Feminine aspect of Divine was raised. Some audience also questioned how we can heal the damage that organized religion and faith system has done across all religions by its one sided patriarchal view point which side tracked the inseparable Feminine Face, Feminine wisdom and Her recognition. In response Llewellyn Vaughan-Lee, the Shaykh of Golden Sufi reminded how his own teacher was a woman (Ms. Irina Tweedie) and was sent by her Teacher from India to West. Part of her work was inspired to help re-emerge the Feminine Consciousness back into our spiritual consciousness and to the practices. Llewellyn, the successor of Ms. Irina Tweedie is carrying on the same mission and has been teaching on the Role of Sacred Feminine and how it is going to play a major role for the reemergence of the World Soul. Working with Oneness website contains Llewellyn Vaughan-Lee's teachings from the past two decades on the Sacred Feminine and the site is an excellent container for a glimpse of the kind of global shift in consciousness to embody and welcome the Divine Feminine aspect again into the world is going to happen. Following are some of the selection from his teachings. The feminine holds the mystery of creation. This simple and primordial truth is often overlooked, but at this time of global crisis, which also carries the seeds of a global transformation, we need to reawaken to the spiritual power and potential of the feminine. Without the feminine nothing new can be born, nothing new can come into existence - we will remain caught in the materialistic images of life that are polluting our planet and desecrating our souls.